Sir Francis Baring by Benjamin West (1804). Reproduced courtesy of The Baring Archive Limited. The Baring Archive is one of the finest archives of a financial institution in the world and tells the story of Barings Bank, the merchant house established in 1762. Barings was acquired by ING in 1995 and in 2008 the collections were loaned to The Baring Archive Limited, a charitable trust that seeks to preserve the collection and make it accessible. 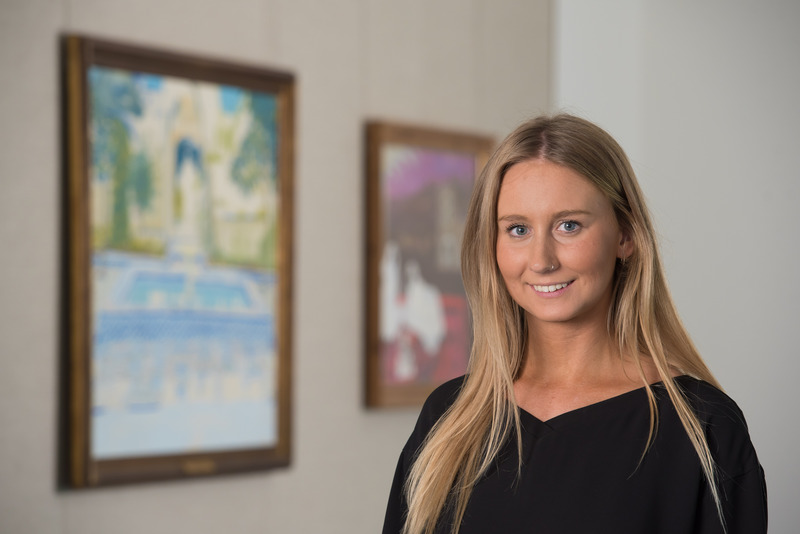 After completing my MA at the Courtauld in 2017 I began a year-long internship at ING/The Baring Archive working with the Art and Archives team. As well as the paper archive the collection includes works of art relating to the family and the firm, most notably a wonderful collection of personal and business portraits that I was very excited to work with. 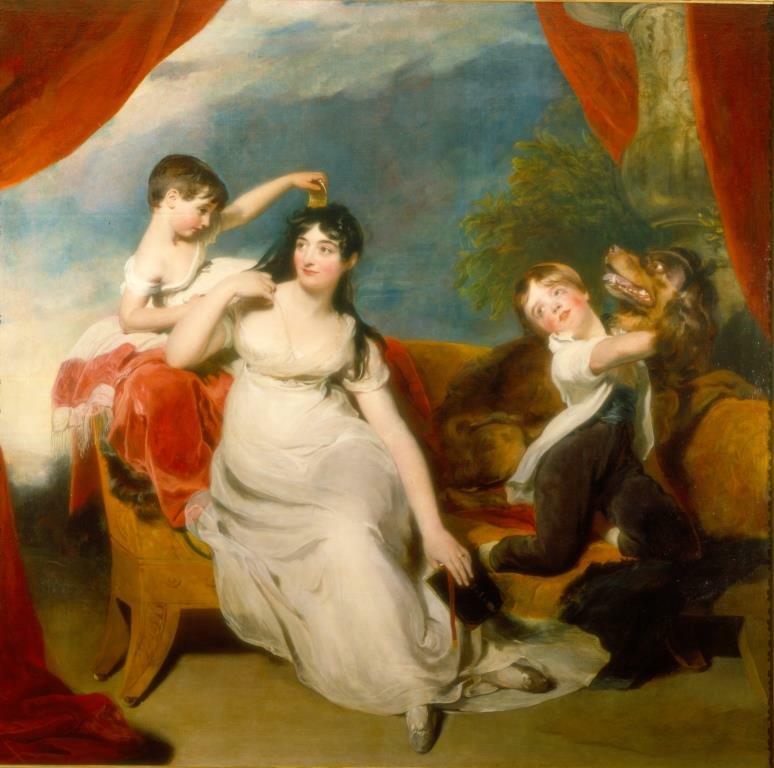 These portraits were commissioned from the leading artists of the day and tell the story of the family and business as well as illustrating the development of portraiture from the eighteenth through to the twentieth century. One of my goals was to make this wonderful and hugely historically significant portrait collection more accessible. I began by researching each portrait in the collection pulling together existing sources of information and carrying out further research. This brought to light the wider context of the collection and the individuals portrayed, for instance, that Edward Baring was Princess Diana’s great-great-grandfather. I compiled all my research into a document that was circulated to all the major public museums and galleries in the country (and some in the USA). The response was hugely positive raising awareness of the collection and plans are underway to make four short term loans to public galleries for upcoming exhibitions. 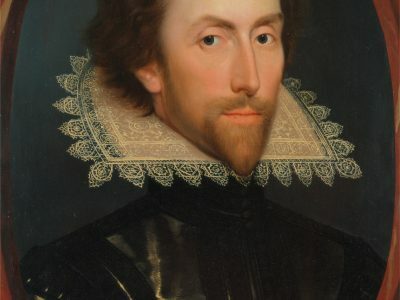 My next step was to contact places that had a connection to the sitters in the portraits with a view to arranging potential loans. 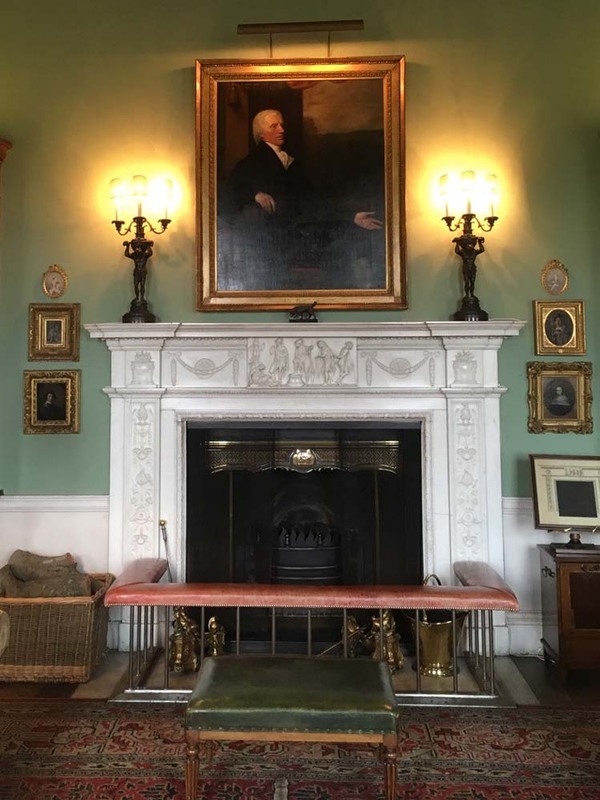 For example, I was introduced by a member of the Baring family to Lord Lansdowne and was able to arrange the loan of Benjamin West’s portrait of Sir Francis Baring to the Lansdowne family’s historic home at Bowood House. The loan is particularly fitting as Sir Francis owed a great deal of his personal success to his close relationship to William Petty, Lord Lansdowne (1737-1805). Petty became British Prime Minister in 1782 and used Francis as a source of confidential advice on commercial and mercantile issues. When Lord Lansdowne died in 1805, Francis was a trustee of his estate. Sir Francis Baring by Benjamin West hanging in the library at Bowood House. Reproduced courtesy of Bowood House. I also had the opportunity to consolidate my findings by creating an online exhibition. My aim was to explore a selection of the portraits and also to provide an overview of Baring’s history. 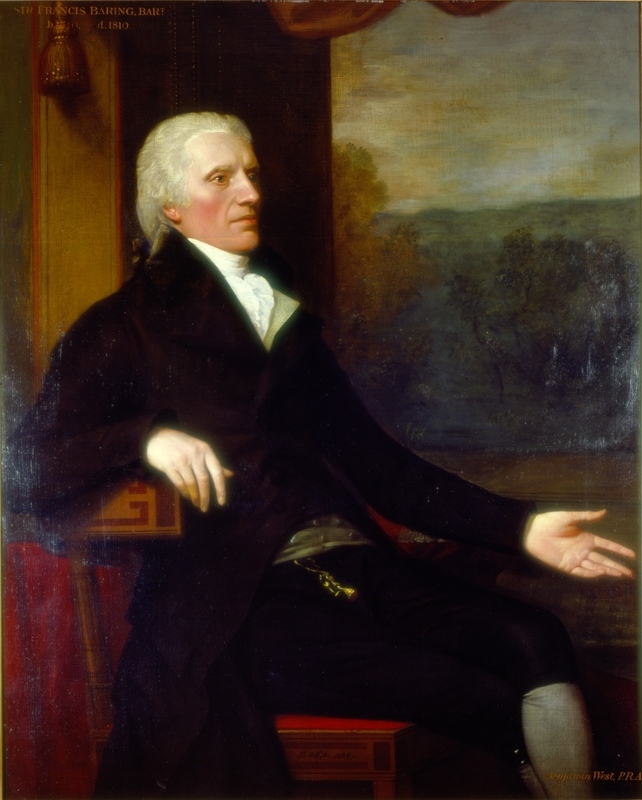 The portraits provide excellent accessible entry points to discuss key deals such as the Louisiana Purchase and also to discuss how the firm and the family had changed. I’ve really enjoyed working on this project. My exploration of the history of Barings through the lens of portraiture has been fascinating. I hope that awareness of this particular collection can continue to be raised. It has also made me more aware of the importance of portraiture in art history. A portrait can have many interpretations and meanings depending on what aspect you look at. Although portrait painting conveys likeness, they also demonstrate the art practices and social conventions of a given period. Furthermore, more than any art form you get a sense of the relationship between artist and sitter. It is so interesting to think about the perceived social role of the individual and how they want to be perceived, yet also how the artist uses their imagination to capture that. It truly is a unique art form that reveals so much about a moment in time. The Archive is continuing to look for display locations for the portraits in its collection. If your institution would be interested in having a portrait on loan please do get in touch with Clara Harrow [clara.harrow’at’ing.com], Archivist of The Baring Archive to find out what is available.